Convert MSG to XPS for easy archiving. You are here: CoolUtils > Total Mail Converter > Convert MSG to XPS for easy archiving. Total Mail Converter is developed for easy mail export from MSG files into many different formats. For proper printing or simply creating document version of MSG files, you need to convert MSG to XPS. XPS is a document format that shows the data without ability to edit, similar to PDF. 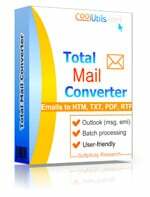 Total Mail Converter supports this file type and offers single or batch MSG XPS conversion. MSG file contains a list of email fields in encoded form. 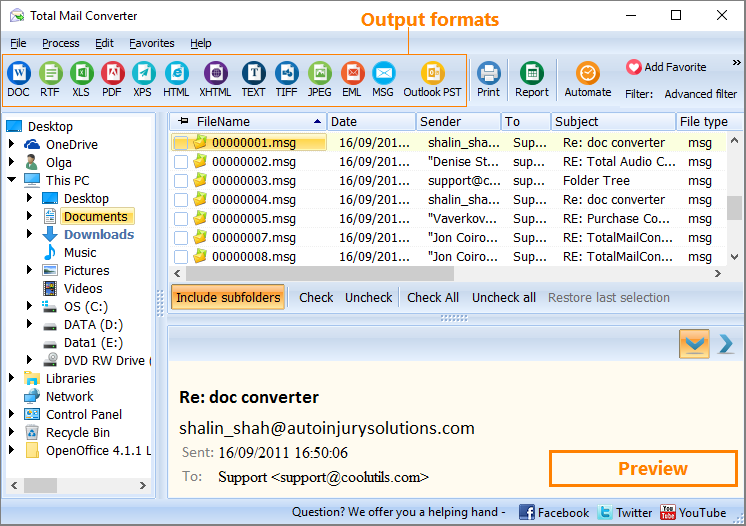 Total Mail converter decodes the data, extracts it and allows to save MSG as XPS or any other supported file type. It provides plain conversion of the entire email or selective conversion of email fields. For example, you can export only mail body or mail subject. Being a batch MSG XPS converter, the program exports many MSG files at once, offering either to create separate XPS files for each message or combine them all into one. The appearance of future XPS copies can be adjusted. 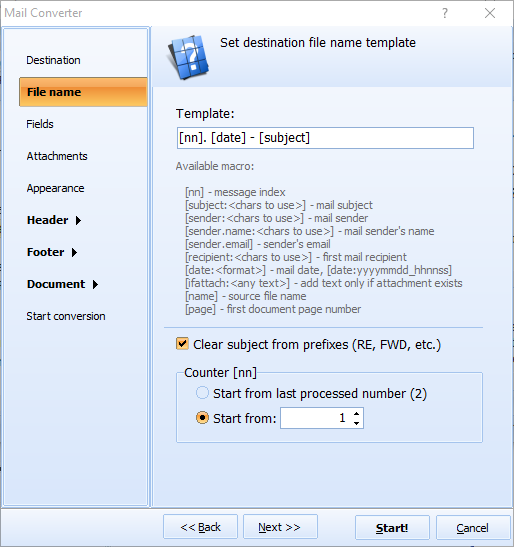 As for processing attachments, there are two options available in the standard version of this mail converter. Attached images are saved as they are to a folder or embedded into a converted mail copy. Attached messages can be converted into XPS and also merged with the original mail copy. 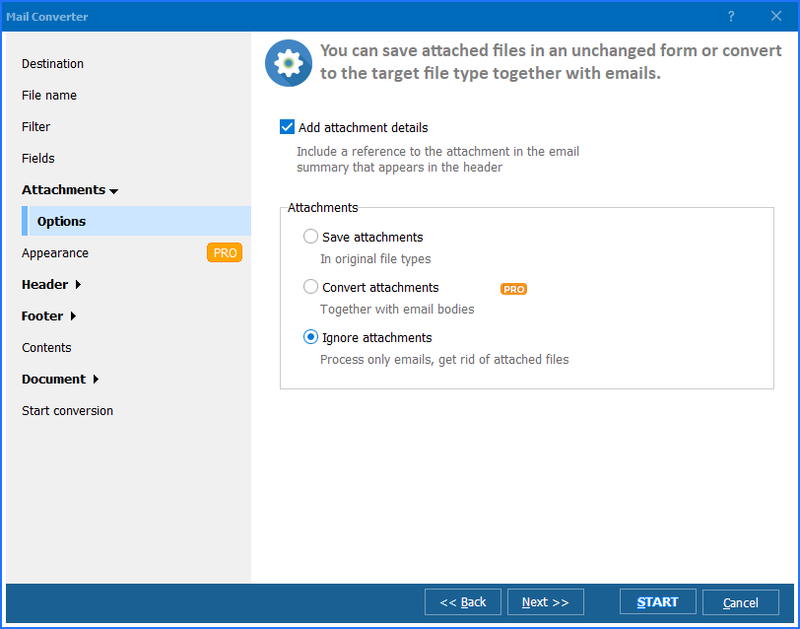 To process other types of attachments, being able to convert them to XPS, unzip attached archives and so on, you need to use Total Mail Converter Pro. Get the trial version of Total Mail Converter and enjoy free MSG conversions for 30 days!